In the 1930s the block of four houses was numbered 11-19 Clifton Drive North (nos. 324-330 after renumbering about the 1950s) all of them were apartments or boarding houses. 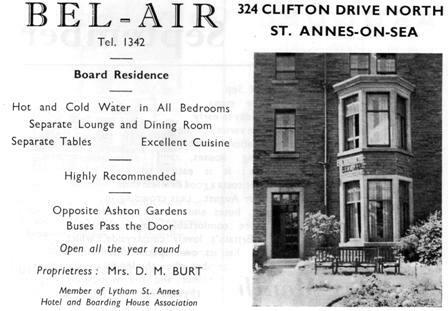 Bel-Air Boarding House, 324 Clifton Drive North; an advert from 1954. 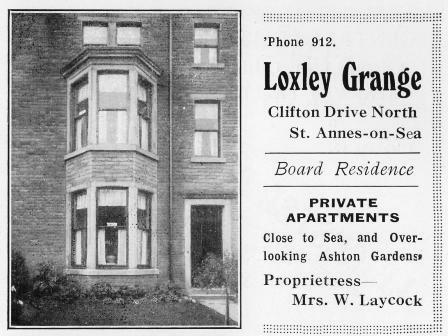 Loxley Grange Boarding House, 328 Clifton Drive North; an advert from 1934. 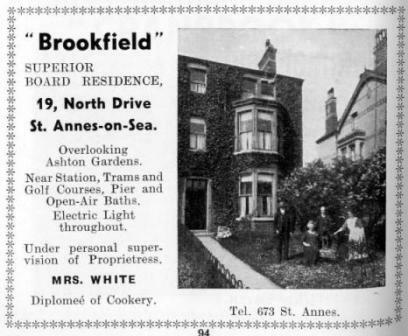 Brookfield Boarding House, 330 Clifton Drive North; an advert from 1934.